A London-based musician who grew up in Athens, Greece, Timoleon Veremis, known on stage as Leon of Athens, is one of those talented singer-songwriters that falls definitively and frustratingly in the under noticed category of seasoned artists – at least where U.S. awareness is concerned. Despite making music that boasts a great assortment of instrumental textures, easily memorable but thematically less common turns-of-phrase, and having some seriously clever cover art on Global (Mimosa’s Dream Records, 2014) his last full length release, the masses have yet to start singing ongoing praises. Perhaps with the release of new single, “Aeroplane,” the tide between here and the famous English metropolis will turn toward this side of the pond. Check out the stream below! 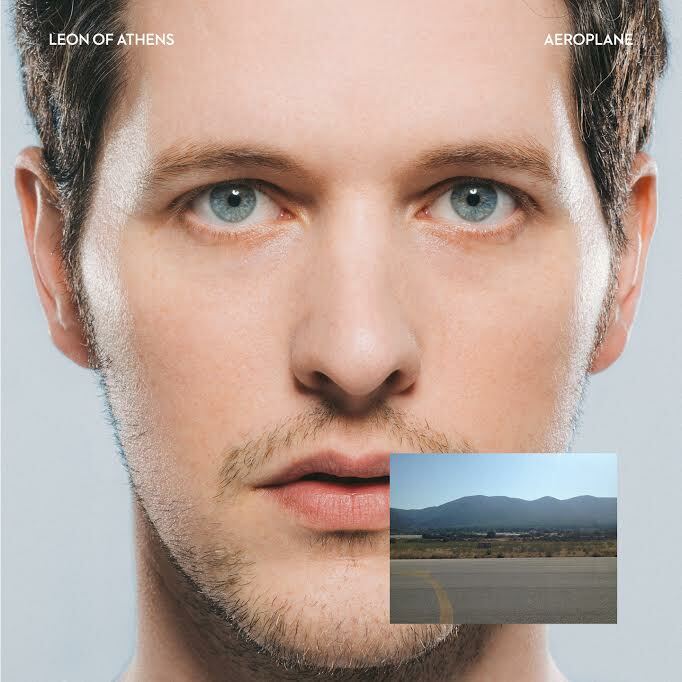 Just posted to the web at the start of business this week, “Aeroplane” is the lead single for what will be Leon of Athens’ next album, whose details have yet to be disclosed. In the meantime however, this introduction is a very nice reminder of why a new record is such an exciting prospect. Leon of Athens aligns easily under the umbrella of indie pop but of course, that can mean a lot of things and even beyond familiar acts from which comparisons often come, this Grecian musician doesn’t follow everyday or timid conventions. There is a fundamental lightness that tends to run through much of Leon’s music (Drum and dynamic heavy, one-off single, “Xenos” is a stark exception to this pattern). Instruments of a more delicate flavor, like ukulele, acoustic guitar with muted strums, piano, and the gentler side of percussion (e.g. hand shakers, brush sticks, rim shots) are staples that help Leon’s songs maintain an easy-going gate and “Aeroplane” is keeping well within this stance. Lyrically, the song explores the timeless topic of love and what that entails. This is nothing new in the world of songwriting but there’s something admirable to the rather blunt and succinct way Leon goes about discussing this often indescribable emotion at the start of the verses (Modern love / is an exchange…Modern love / is to calculate). Much of the time, artists look for the most exotic or less uttered types of imagery and-or actions with which to narrate their love stories. “Aeroplane” earns a bit of boldness by averting this flightpath altogether and just calling the subject what it is. The straightforwardness in the verses complements the presence of metaphors in other parts of the song and no place is their use more apparent than the chorus (I better start, I better start running / even if I can’t escape / your love is like an aeroplane / going down then flying high / you take me for a ride). Clean toned electric guitar that’s left a sizable amount of reverb opens the song, vacillating between descending perfect fifths and descending major thirds. This subtle motif, unassuming as it is, sets the tone for the whole rest of “Aeroplane” with a swaying back and forth between notes evoking sadness and notes evoking more of a cheerful disposition. Additionally, the see-sawing motion in the pattern serves as a clever indirect nod to the latter half of the chorus and its allusion to love rising and falling like the aeroplane. The consistent hit of a kick drum left strongly audible in the mix fits with Leon’s lightly folk-esque leanings but more so than that explanation, which is all too ubiquitous with the trend of folk-pop, its inclusion on each of the four counts gives a second impression of an unwavering heartbeat and a wholly more interesting purpose than simply including a trending element. Not to mention, even if essences of today’s folk trends are peeking out of the song, Leon keeps things different with just a touch of synthesizer tones. Capable of turning the track into an intense affair, the digital components are instead written to be sounds of support and those intent on contributing to the overall sense of lightness. Higher pitched laser-like tones permeate the slower bridge (Here I am still breathing / In open fields I breathe) and the final chorus, never detracting from Leon’s clear, articulate, and ever-so-slightly accented vocal. Rather, they merely give “Aeroplane,” in all of its very natural artistry, just a spritzing of futuristic gloss and a way for Leon of Athens to stand out while never straying too far out from the down-to-earth sentiments to which people from all over the world can relate and hopefully soon in the U.S., also come to widely enjoy. “Aeroplane” is out now via Mimosa’s Dream Records and available from iTunes. Streaming is available through SoundCloud and Spotify.